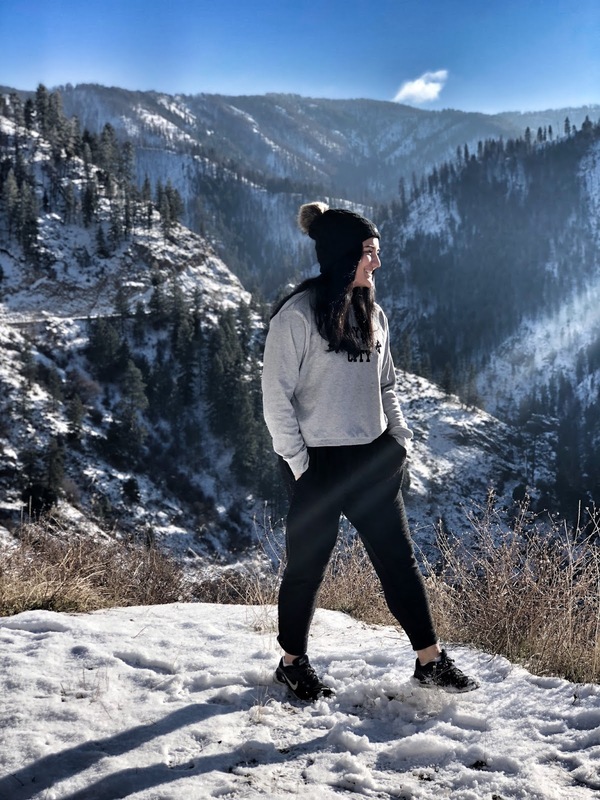 Just a few hours drive from Boise is a stretch of highway that's peppered with natural hot springs, and many adventurous souls have dared to hike the trails to reach these beautiful, remote locations. Last month, my friends and I went to two of the more popular spots, Pine Flats Hot Springs and Kirkham Hot Springs. 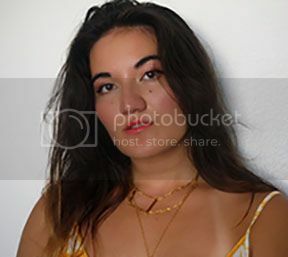 Here are the photos from that. So first up, Pine Flat Hot Springs. It was a bit of a hike down, especially with everything covered in snow. We slipped and carefully slided our way down, gaping at the winter wonderland around us. Seriously, I hate winter and the snow, but it still makes for a beautiful season to wonder at. We found ourselves at the base of the campground area where the river trickled through. Steam rose from the jagged rocks while massive icicles contrasted sharply against the background. Not another soul was in the area and we got to witness this stunning location all to ourselves. I stripped down to my bathing suit, laughing to myself at how unreal it was to do so. 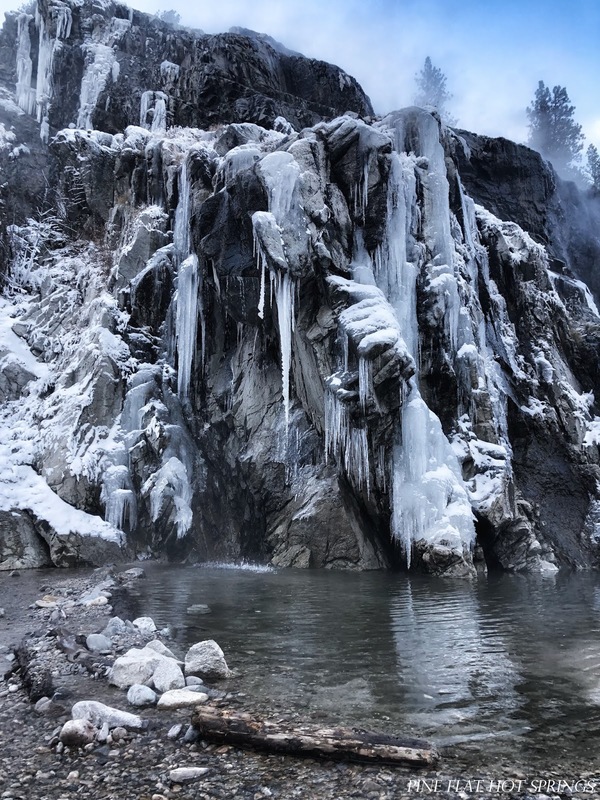 We had just gone traipsing through snow and were surrounded by icy beauty, yet because of the hot springs warming my feet and legs, it was comfortable to waltz around in a swimsuit. Next up is the most popular spot by far for many Idahoans. 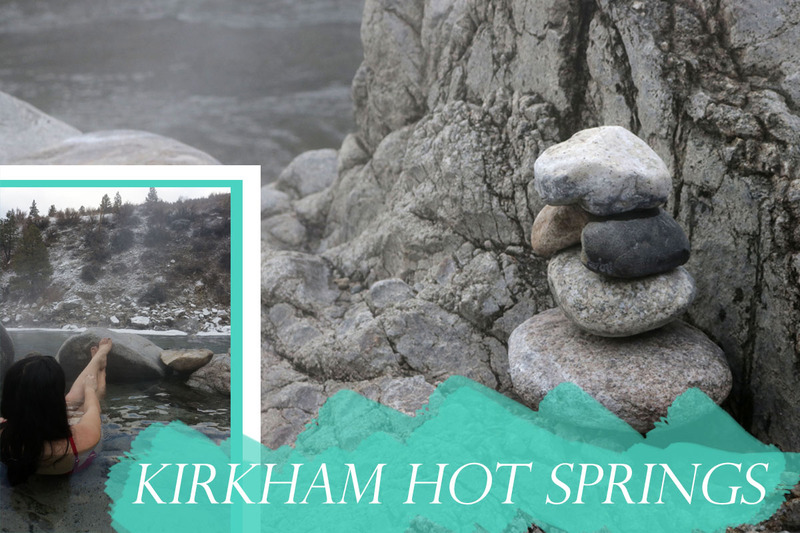 Kirkham Hot Springs. 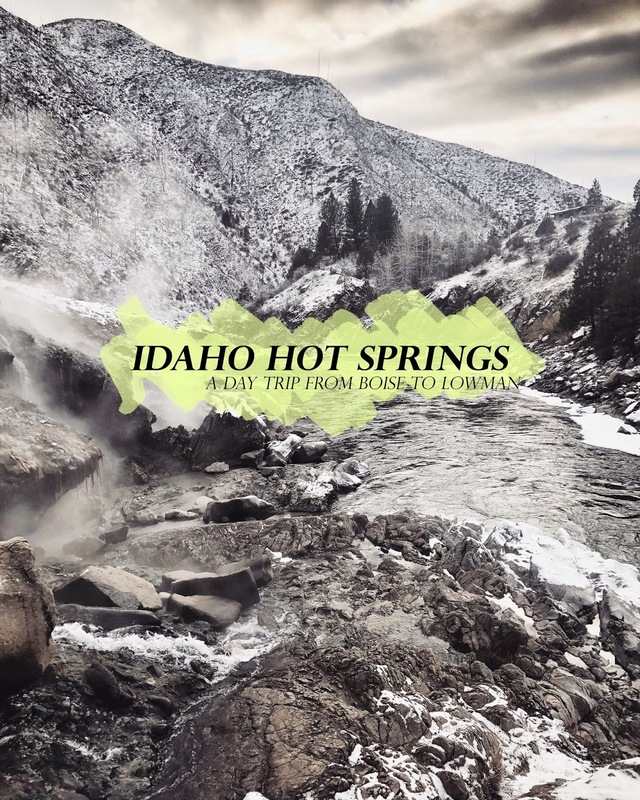 It's easy to see why too - this place is beautiful, with multiple pools of hot springs groups can slip into while having semi-privacy thanks to the rocky terrain. Once again we braved the icy, snowy ground to reach this oasis, but it was right by the parking lot and wasn't so much of a hike. Unfortunately it wasn't as secluded as the last place, as we had several groups that showed up shortly after we settled into a spot. It wasn't bad, but the remote atmosphere was semi-ruined by it and we left a little afterwards. Still, totally worth it, and totally worth a return trip! Have you ever been to a hot springs? What was your impression of them? I want to plan another group outing to this stretch of highway and find even more!